Before School Care Hours: 7:15 a.m. - 8:00 a.m. Before School Care is conducted in the Armand Hall Room. 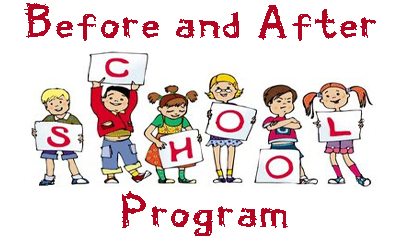 After School Care Hours: 3:00 p.m. - 6:00 p.m . After School Care Program is conducted in the Father Armand Hall and the school gym. *Snack time: 3:00 - 3:15 p.m.
* Homework: 3:15 - 3:45 p.m.
* Reading, Board Games 5:00 - 6:00 p.m. Older students will be permitted as much time as needed for their home work.